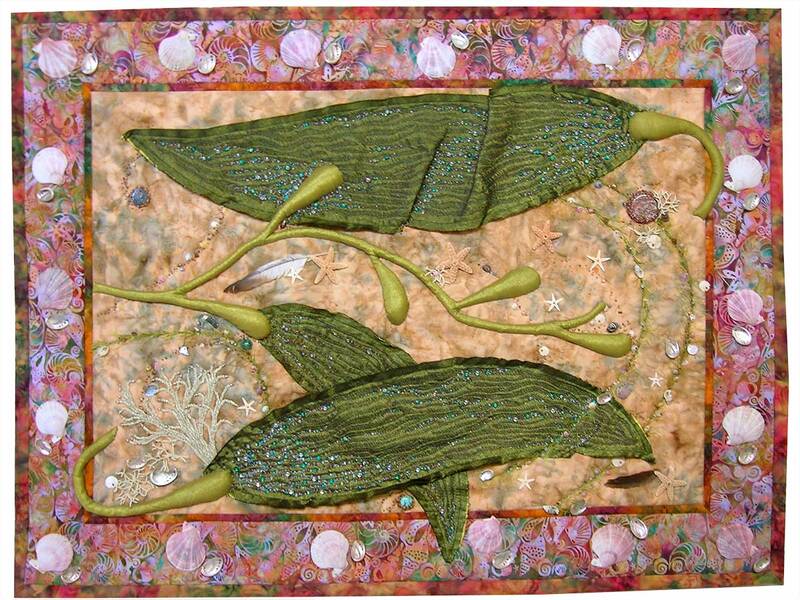 Walking on a Santa Cruz beach after a storm, I discovered an incredible collage of seashells and kelp leaves covered in bubbles – which inspired me to make this quilt. Technique: Kelp leaves were individually constructed, then free-motion quilted and tinted with permanent fabric pens. 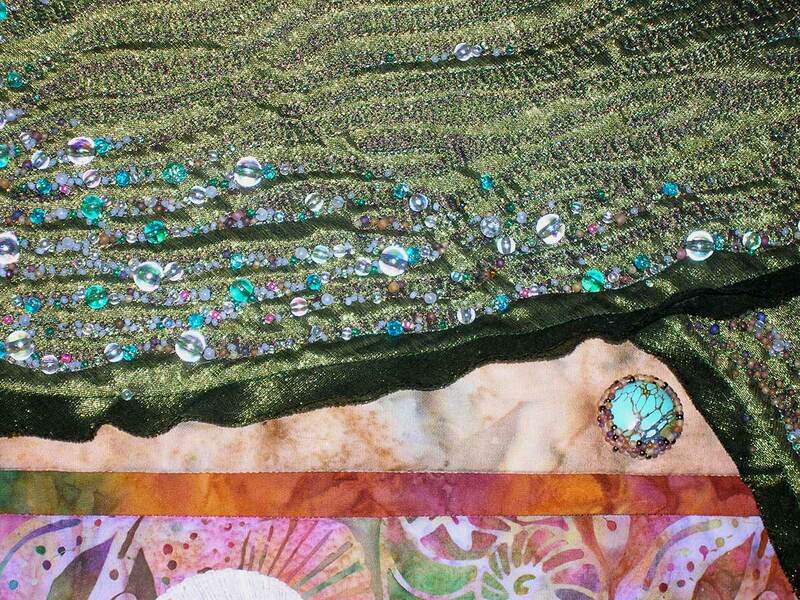 Stems are fabric-wrapped batting; beads and shells are individually hand applied onto a prepared quilt body. Moonstones, pearls, semi-precious stones, feathers and shells were added as embellishments – all of them ‘gifts from the sea’.